Most small business owners in Australia know they should have a Facebook page for their business. Why they need one – and how to use it – are often more difficult questions. There’s no shame in admitting that, as a new business-owner, jumping into the world social media marketing is a daunting prospect. Sure, setting up a Facebook Business Page is fairly simple. But constantly monitoring your page and using it to effectively market your business can be a challenge. The good news? You’re a small business owner. You’re tough, resourceful and resilient. Anyone who’s started their own business knows that it isn’t easy. Still, they do it anyway. Because they’re willing to do what it takes – even if it’s bloody hard work! Here are some reasons why you should use Facebook to promote your business. We’ll also tell you how to avoid the most common mistakes new small business owners make on social media. A recent report on Internet usage in Australia stated that 87% of us access the Internet daily, and 69% use the Internet for social media. Of that 69% of social media users, a huge 95% use Facebook. Male or female, young or old, everyone is on Facebook. By comparison, the next most popular social networks are Instagram and LinkedIn, trailing with 31% and 24% usage respectively. Simply put, it means your customers are online and they’re using Facebook to connect with friends, to entertain themselves, and yes, to find new products and services to buy. With Facebook marketing, you have an opportunity to meet with your customers. To start a conversation. And to get them excited about your business. With a Facebook Business Page set up, small business owners have the tools to reach a wide audience for an amount of money which is less than you might think. Unlike in the heyday of television, radio and newspaper advertising, Facebook doesn’t charge thousands of dollars for a single ad. Yes, you will need to ‘boost’ your posts – boosting means paying to show your business’ posts to more users. But, with the right audience-targeting, your posts could reach hundreds of potential customers for less than what it costs to advertise in the Yellow Pages. 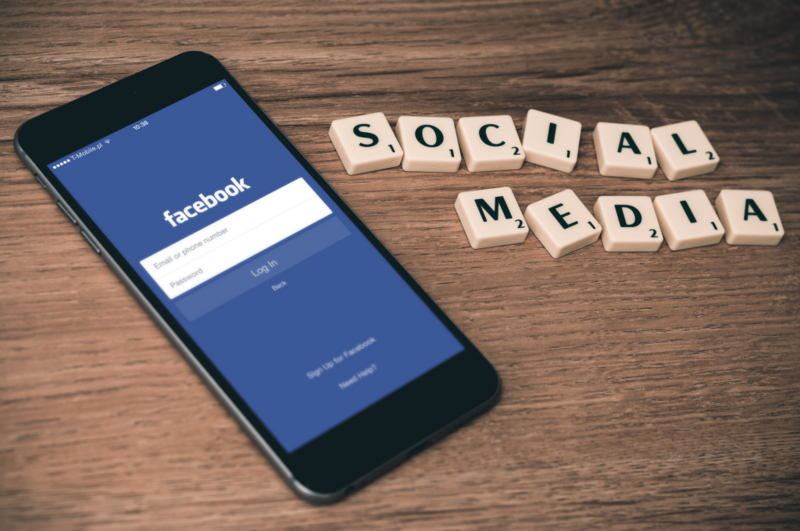 For small business owners just getting started, an allocation of $50 – 100 per week can often be all it costs to get the word out about your new business on Facebook. As stated above, marketing on Facebook doesn’t have to be expensive. However, it does take an investment. Namely, an investment of time, energy and resources. New photos, videos and posts are the life of your Facebook presence. After all, if you’re not regularly producing great engaging content, why should users interact with your page? A harsh truth of Facebook marketing is that selling, brands and businesses have always been a secondary priority, at least for most users. People use Facebook to spend time with friends, to hang out, and to view and share content which engages them. As the unwritten rulebook says: people use Facebook to connect with friends, not brands. That doesn’t mean you can’t sell your products on Facebook. Of course not. However, it does mean you need to be a content producer first and a salesperson second. A 9/10 split is a good guide. That means for every nine pieces of valuable, interesting or amusing content you produce, you pitch your audience with one hard sell. According to the 2016 NAB Online Retail Sales Index, Australians spent nearly $20 billion online across the 2015 – 16 financial year. That was a year-on-year increase of 13.2%. And this number is only expected to rise in 2017. Over that same period, Facebook introduced a variety of new ways to buy and sell. Most notably the ‘buy now’ button, which makes it easier than ever for users to purchase products via the Facebook app. If you’re operating a café or hair salon, your business may not be selling products directly on Facebook. But the message is clear. Australians are using online, and increasingly Facebook, to inform and implement their purchase decisions. If your business isn’t marketing or selling products on Facebook, then you’re missing out on a large market of online and social media buyers. Here’s the rub. Using Facebook for your business is a long game. It’s true, businesses can get an initial burst of popularity when they first set up their page. But that’s the easy bit. The real success stories regarding businesses on Facebook are written across months and years – not days or weeks. Building a following. Learning which types of content work best for your audience. Managing your community of followers and discovering how best respond to customers. These things take time, as well as persistence, planning and the willingness to take a few risks. You can’t always succeed, although you can learn from your missteps. Oh, and stay away from any organisation offering ‘5,000 Likes Guaranteed’ or ‘10,000 New Fans Overnight’. There are no shortcuts and getting involved with these sorts of companies can damage your business’ credibility, fast. The best advice is to be patient. Work on your business’ Facebook presence a little every day, or at the very least a couple of times a week. Incremental yet regular growth plus time equals eventual large growth. The more you put in, the more you’ll get out. And truth be told, this rule holds true for most aspects of running a small business. Author: Digital360 is a full-service digital agency based in Melbourne. They help Australian businesses to succeed using digital technology and online marketing services. Listed in both the 2016 BRW Fast100 and the 2016 SmartCompany Smart50, Digital360 is one of the country’s fastest growing agencies.